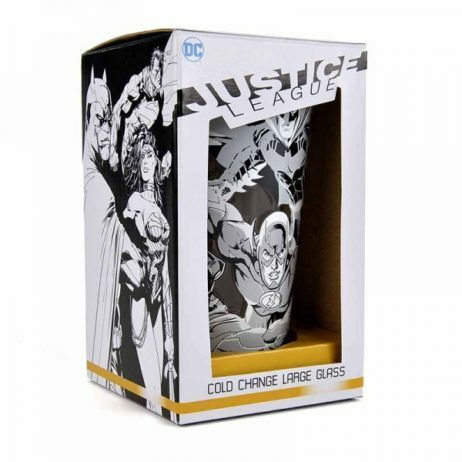 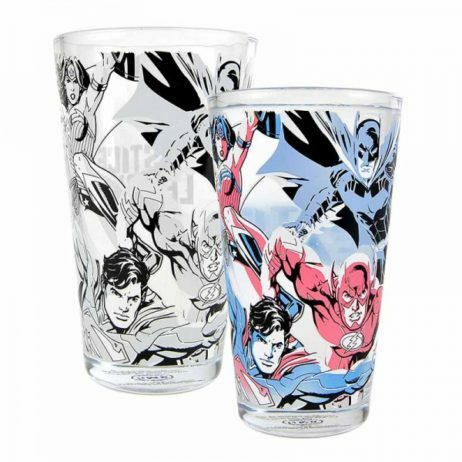 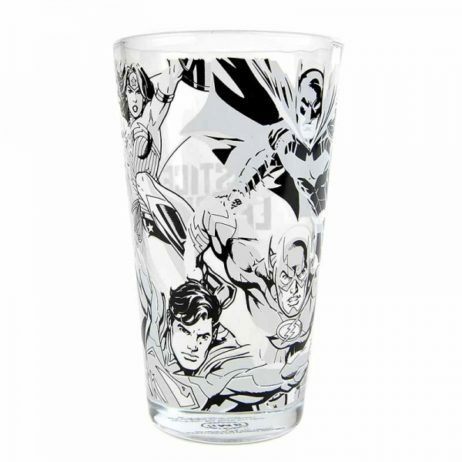 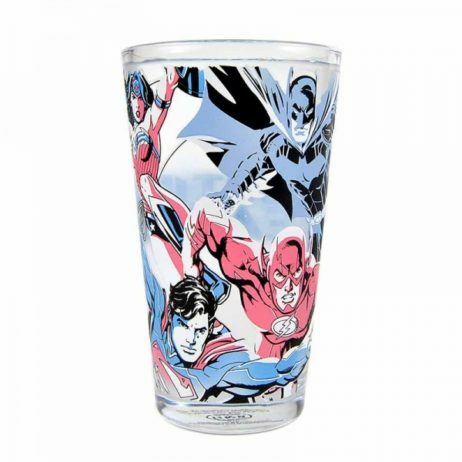 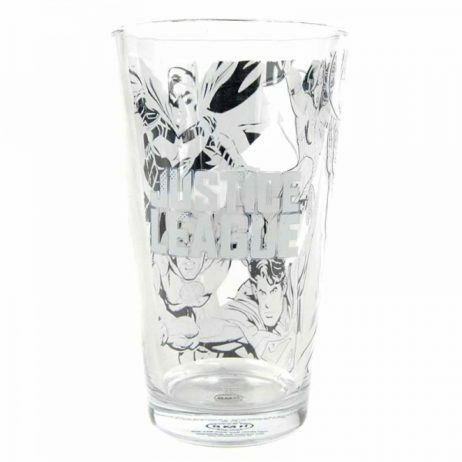 This 450ml Justice League cold changing glass is sure to get your morning off to a strong start. Room temperature, the front of the glass shows the characters of the Justice League team – Wonder Woman, Batman, Superman and The Flash – in a comic style black and white design on the front, and the Justice League logo on the back. 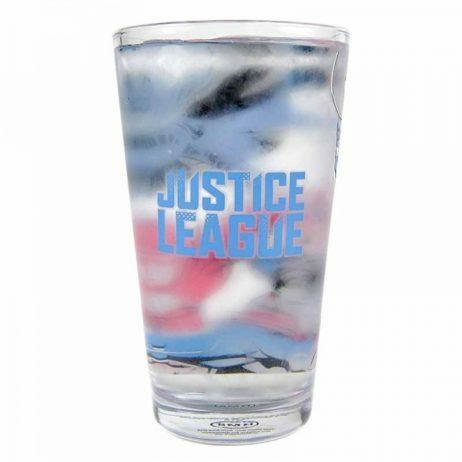 When cold liquid is poured in, the glass transforms to show the four superheroes’ costumes in red and blue colours and the Justice League logo turns blue. Once the drink is finished the glass returns to its original state as it warms back up to room temperature. An essential for any Justice League or DC Comics display.